When it is cold (arctic!) outside, our thoughts are even more occupied by wool, starting as we get dressed in the morning. Nothing else compares for warmth in these conditions. The science behind the warmth. 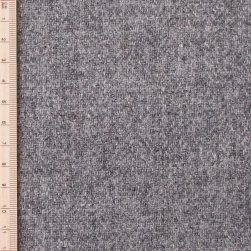 Wool is a hygroscopic fibre. Without going into too much molecular detail, this means that warmth is generated as the fibres absorb moisture from the air. This useful process happens even at room temperature. We aren’t actually that great at chemistry, but try doing a little home experiment – good weather for it at the moment (#BeastFromTheEast)! 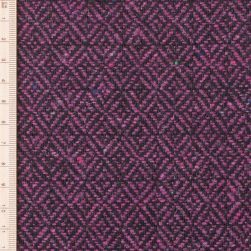 Get cold, then put on a man-(or woman)made fibre garment and see how long it takes to get warm (record result – this is scientific!). Get cold, put on a woollen garment and see how long it takes to get warm. Convinced? One of the other great properties of wool is crimp. Woollen fibres are wriggly. But why does that matter? 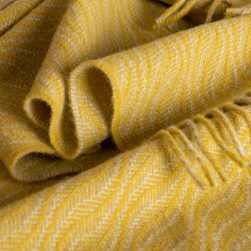 Thinking about water absorption again, wool can hold water vapour in tiny air pockets created by the crimped, closely packed fibres. 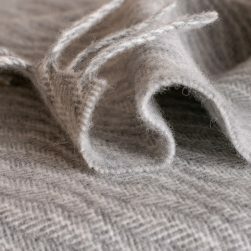 This makes wool highly breathable and keeps any cold water away from the skin. Crimp for the lazy. 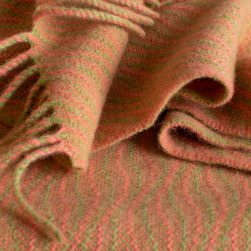 The other reason we like crimp is that woollen garments and textiles are very good at looking after themselves. 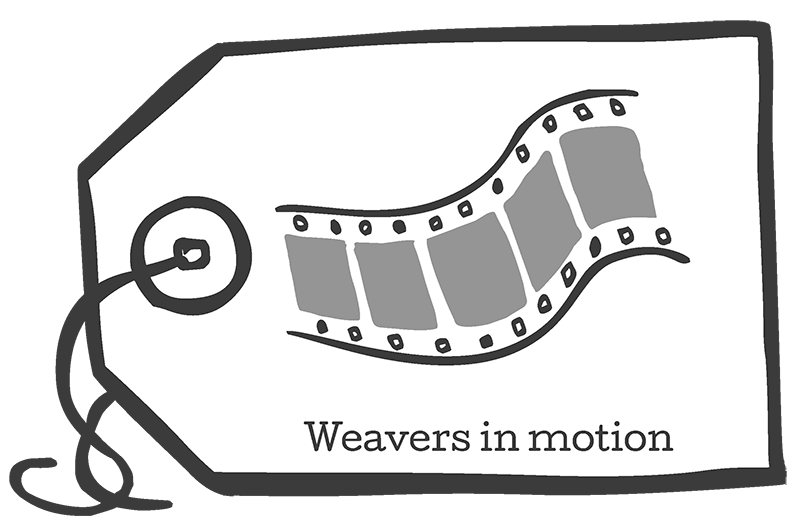 Crimped fibres can stretch to allow for movement, but at the end of the day, give your jumper, shawl or scarf a good shake and a rest. The fibres will relax and go back to their natural shape. 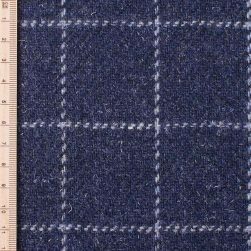 Put your wrinkled tweed jacket on its hanger for a few days and you will be surprised to find it returned to its original form. Wool is biodegradable. Ok, you might not immediately be thinking about your purchases decomposing when you’re buying them, but we do. We are producing something, and quite a lot of it (by our standards anyway). It’s oddly but satisfyingly good to know that none of it will be around forever. Once it’s been loved, worn, cherished and torn, it’ll just go back to become soil. And then there’ll be grass growing, sheep eating grass, and so on. Maybe, maybe not, but at least it won’t be getting tangled up in some future humanoids garden fork (if things like that still exist then). The long and short of it: Wool makes you happy. Watch the proof! There’s got to be a commercial bit. 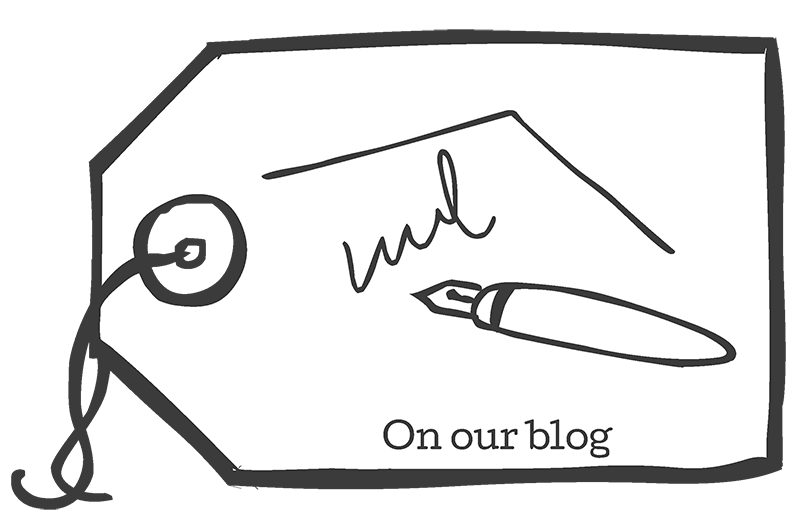 We can’t guarantee happiness, but if you feel inspired, check out our online shop. Want to know more about wool? 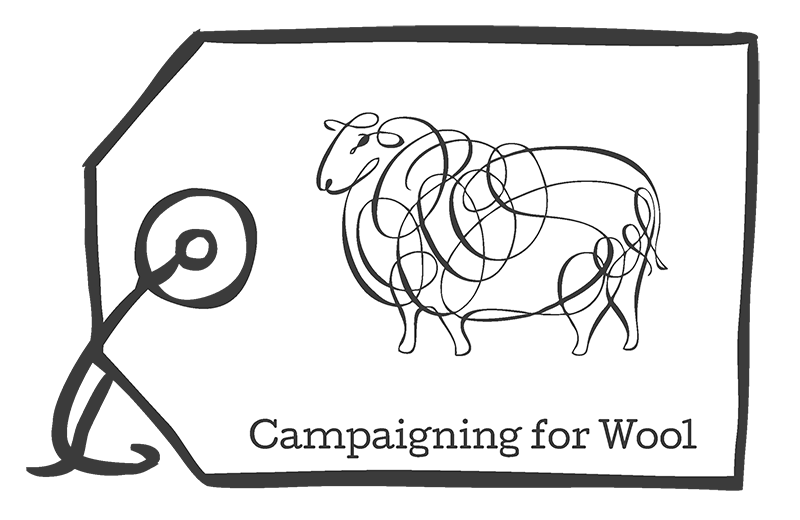 Check out the Campaign for Wool!